It's a big world out there and there's plenty of romance to be found wherever you go. Still, there are some places that are just so stunningly beautiful and iconic that even their very names are evocative of romance. Best of all you don't need to be a lottery millionaire to visit these places. Eight out of ten of these are right here in Europe, in our own back yard basically. So forget being one of the jet-set, you can be one of the Ryanair or EasyJet set and still visit a real-life fairytale or get swept off your feet in one of the world's great capitals. Now, lads, word to the wise; if you are thinking about taking your lady to one of these great cities you'll need to plan carefully. Valentines is a peak time to visit and hotels book out fast. You're also best advised to book your flights well in advance to get the best deals. Don't be that guy who promises his lady a romantic getaway and then tries to sort it all out two days beforehand. And, if you've got a specific restaurant in mind make sure you make your reservations early too – because there's nothing romantic about sitting around a bucket of Kentucky Fried Chicken. I know this because… a friend told me. No seriously, I'm all about the romance me. Every year I arrange a romantic getaway with my gal, who shares my passion for travel. Most of these cities I've already visited. There's also a couple in there I've not visited yet but have researched in detail for future trips. So it's not just another top-ten internet list, it's a very personal list of mine, that I wish to share with you. Barcelona is one of my all time favourite cities. It's clean, pristine and incredibly pretty, but also has a wild side – so it all depends on how wild you want it to be. There's plenty of art, culture and civilised things to do in Barcelona but it's also a great place to let your hair down. The must-see landmark is, of course, La Sagrada Família, the perpetual work-in-progress church designed by Antoni Gaudí. 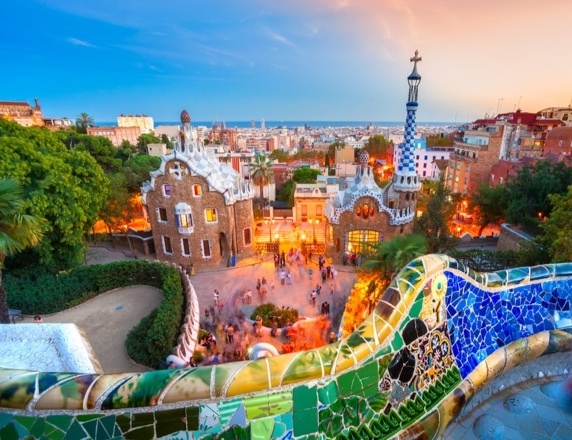 Gaudi's designs can be found all over the city, the most striking of which can be found in Park Guell, the perfect place to be go if you'd like to be spirited away to a romantic wonderland. 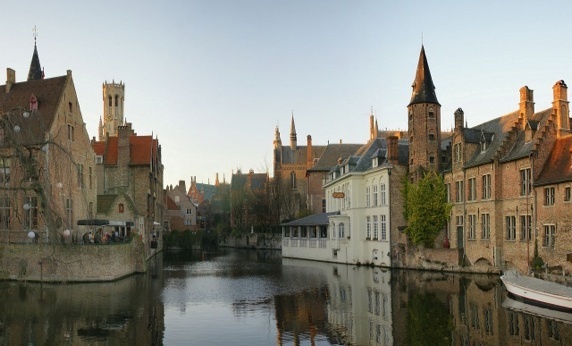 "Like a fairytale", was how Harry Waters from the movie "In Bruges", described it. If you've seen that movie then you'll know that Ralph Fiennes' character was not one normally given to polite compliments or fairytale similies. It's an apt description though. With its stunning medieval architecture and meandering waterways there is certainly something very ethereal about the city making it the perfect place for a quiet, intimate short-haul romantic getaway. Just make sure to bring an umbrella big enough for two – and whatever you do don't bring Colin Farrell along, he'll just end up throwing a moody like a five year old who's dropped all his sweets. Another one of my favourite places in the world, this Andalusian city is breathlessly romantic. I strongly recommend you do the clichéd thing and take a horse carriage tour of the city first, to get your bearings and soak in the stunning architecture. Later you can then explore the smaller streets on foot, sampling the local food and drink in quaint tapas bars and, if you're lucky, you'll find yourself in a full-on flamenco session until the early hours. Flamenco is an integral part of the culture here. When heard in its natural habitat it's liable to cause heart flutters and goosebumps – throw some delicious Spanish rioja into the mix and you have all the ingredients for a night of wild passion. Ok, so hands up on this one, I haven't done it yet but c'mon – who doesn't want to go to Hawaii? Even back when I thought girls were icky I still was captivated by this Pacific paradise. As an adult I imagine long beach-side strolls, snorkelling in crystal-blue waters, swinging in hammocks to the sounds of slide guitar – the perfect blend of pampering and adventure. A true work of art! 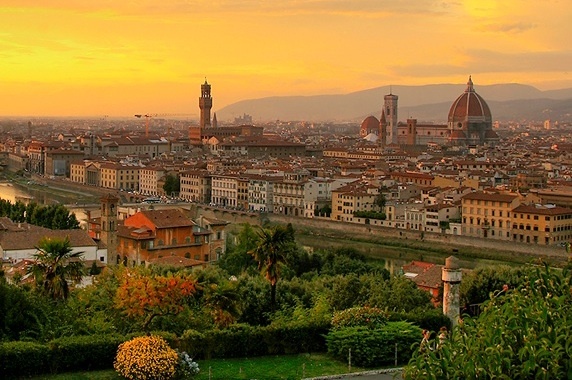 The Tuscan city was the home of the Medicis and the birthplace of the Renaissance. Not only is it an art lover's paradise, it's also the perfect place to spend a romantic weekend. And then there's the food – nothing like some fine Italian cuisine and wine by candlelight! 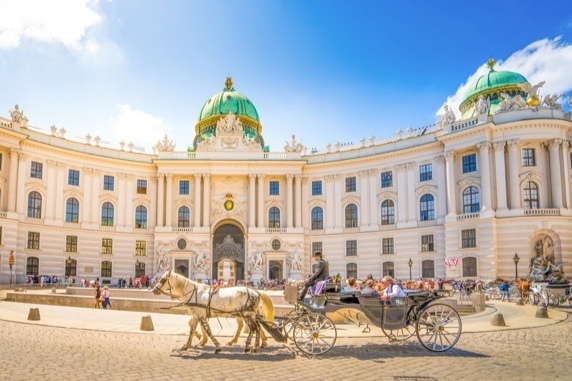 Another magical city, Vienna has long been associated with music and dance. Not only is it the home of Mozart, it's also the place where a simple peasant dance was transformed into a society ball sensation – the Waltz. As a tourist there are the obligatory activities, the horse-drawn carriage ride, and, of course, the big Ferris wheel – the iconic Wiener Riesenrad – which has appeared in countless movies including The Living Daylights and The Third Man. Clutching your sweetheart tightly as you dance the waltz in a Viennese ballroom is certain to make her feel like a true princess. (Even if you're no Prince Charming the rest of the year.) It's the most romantic dance, for sure – but it's not the sexiest. The tango, on the other hand, is like the waltz on Viagra. Done properly it's perhaps the sexiest thing you can do with your clothes on. I first fell in love with the dance watching Al Pacino in Scent of a Woman – I thought, "I wish I could do that!" Later I saw Arnie do the tango to the same classic song, "Por una Cabeza" and I thought, "well if that big bruiser can do it and look graceful then so can I!" So that's the plan. Learn the tango first (which, for me, is quite a daunting prospect). Then literally whisk my sweetheart off her feet in the sensual surrounds of Buenos Aires! 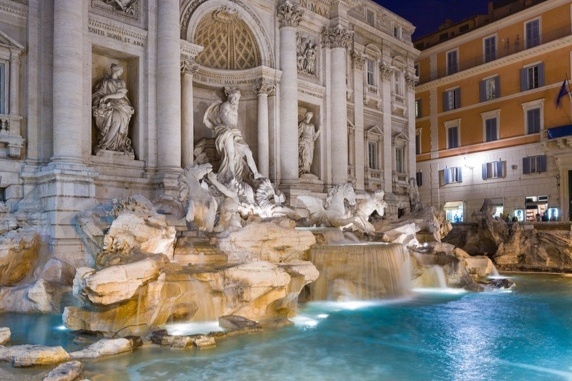 You can't spell romantic without Rome. It's the city where the word comes from after all. If you've never visited this magical city then it's high time you remedied the situation. This is a city that should be at the top of everyone's bucket list! Despite the unstoppable march of time, Rome remains what it has always been, one of the world's greatest cities. Just be wary of pickpockets and pushy street vendors looking to spoil the atmos and, once again, if you're planning a Valentine's getaway let me reiterate the importance of booking your holiday early! Not Paris, Texas, in case there's any Americans reading – Texas is many things, but it's not romantic. Paris, real Paris, on the other hand, is known throughout the world as the city of love and best visited in the Spring. If you've never been before then it's about time you discovered why. It's only a short hop from the UK and will prove an unforgettable experience. My advice is to avoid the tackier tourist traps (such as the Moulin Rouge and the Champs-Élysées) and instead take the time for a leisurely stroll, hand in hand, along the famous river Seine. Visit the Eiffel Tower, by all means, but if you really want a spectacular view head atop the city's tallest building, the Tour Montparnasse. It's especially magical at night, where, on the hour, you can watch the Eifel Tower light show from the city's highest vantage point. Now, when recommending romantic locations graveyards don't normally rank high on the list, however there is something magical about Père Lachaise Cemetery. Here you can take a quiet stroll through history and find the graves of famous people ranging from Chopin to Jim Morrison. Head early in the morning before the tourists arrive and while a light mist still clings to the stones. At this time of year, as the trees begin to bloom once more, it's enchanting. One of the hallmarks of an exotic locale is that it appears in a Bond movie. Venice has appeared in three. It's the only city that can out-romance Paris and Rome combined and it's the only city where all the main transportation is by boat. 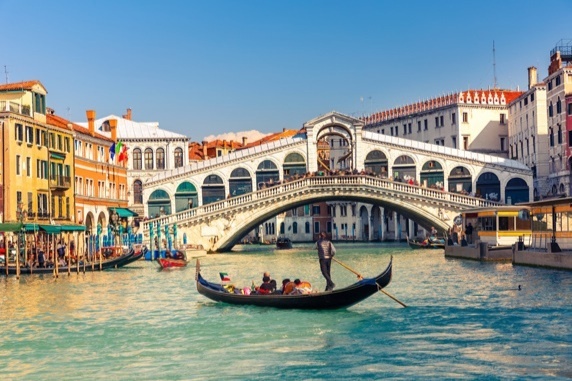 Steal a kiss on the Rialto Bridge, walk hand in hand along San Marco square and catch spectacular views from atop the tower. And, of course, there's the obligatory gondola ride – which isn't cheap, but if your lady says not to bother because it's too expensive rest assured she's lying. Besides, when else are you going to get a chance to do it? Venice in summer is a bit iffy, and in places can quite whiffy, with throngs of tourists clogging the streets while the contents of the lagoon bake under the summer sun. Valentines in Venice, however, is the absolute pinnacle of romance. The city itself is particularly magical. Be sure to avoid the main thoroughfares with mood-spoiling tourists and instead loose yourself in the meandering, mist-strewn streets. Not only will you loose track of time, you'll soon feel as though you've travelled back in it. If you can go for an extended stay that encompasses the carnival, when you can take your lady to a real-life masquerade ball, though, as always, this will require pre-planning and early booking! …But it can get you a much nicer hotel room! So don't forget to include a lotto bet in your Valentines weekend plans. Money can't buy you love, but it can buy the lady you love a huge diamond ring – and all for the cost of just two bags of onion rings! 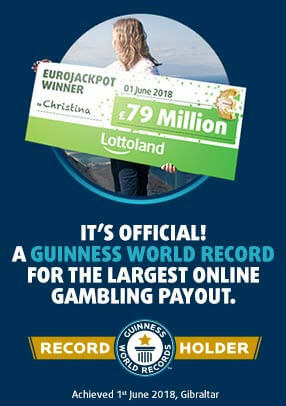 Bet now and be in with a chance of winning big!